In the age of the lich king, a group of individuals, calling themselves the Architects, came together to forge a city of salt and stone to play host to the favoured amongst Azeroths forces, Both the Horde and Alliance lent their aid and so, the city of Maventell was forged. Home to a military might known as The Crusaders, the city boasts a feast of markets and stores. From general supplies, to the finest weapons and the most exotic of tame beasts. Maventell has become a hub for the forces combatant against the Lich King. Our initial goal with Maventell was to create a mall for event rewards. But it soon built into a huge project which all of staff has been a part of. The city aims to combine all the perks of a regular city, along with a host of conveinece based NPCs and PVP combat. 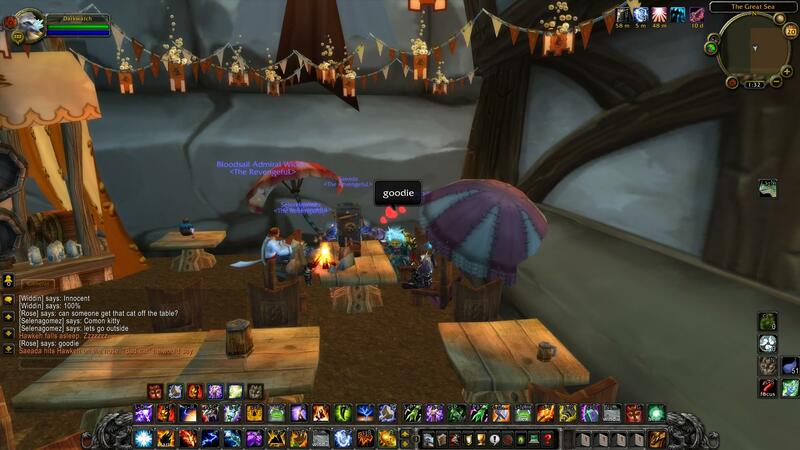 -PVE Players will initially be spawned in the market, Boasting every variety of item you can imagine, For a price. -PVP players will find themselves in either the Horde or Alliance outposts, These makeshift bases serve as a market for PVP players. Immunity will be granted for 1 hour after your character is made, Allowing you to buy gear without a 7ft sword being hurled into your back. During this time players will also be unable to compete in PVP combat, But the buff is easily removed with a right click, should you get your gearing done fast. 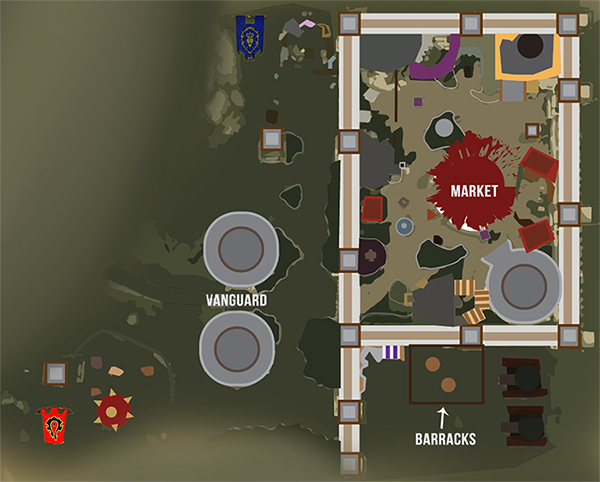 - The Market, Various vendors are available to purchase goods for Marks of the Crusader, Gained through voting and Events. To name just a few, players cn purchase mounts, legendaries, Transmog costumes, Consumables, Fun items as well as every profession trainer, Auctioneer and various banking facilities. - The Barracks, Playing host to Maventells armaments and training groups. The Barracks allows players to engage in Free for all PVP inside a pre made arena. All kills are honourable and fighting is encouraged. Players can also create arena teams and queue for area in this area. - The Vanguard, Even though they are working together, Both the Alliance and Horde have set themselves up makeshift forts to hold off against the endless onslaught of one another. In the Vanguard players will find constant combat in a struggle to secure towers. As it stands the mall is a great accomplishment for the server, and as far as we know, Nothing of this scale has ever been attempted on a WoW private server. The mall will be an endlessly growing project, with more ideas already in the pipeline, we hope to see this become somewhere that you enjoy playing. Currently, we have several ideas which are forthcoming within the next couple of weeks. Citizens will begin to fill the city and quests will be available (Some are really awesome, Such as parkour and PVP dailies). Q_Q i'll get street cred, i swear!